The Health Workers Union (HWU) represents thousands of members that work and live in rural and remote regions of Victoria. We have invested considerable resources in rural Victoria, including a team of organisers. All our rural organisers live in the areas they organise and have developed valuable relationships with HWU members and the administrators of the health facilities within their areas. HWU organisers are also active within their local communities; campaigning and assisting the locals with the issues that matter most to them. 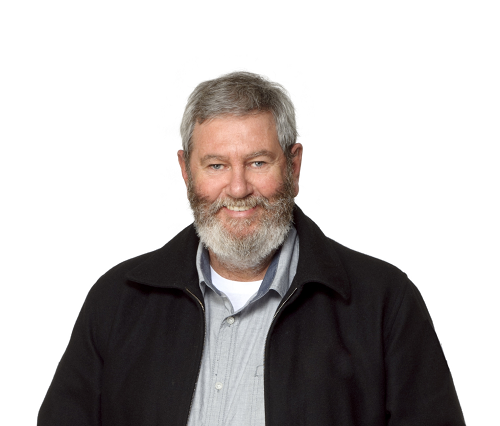 Steve Mitchell (Mitch) is our Union’s Senior Regional Organiser, covering North Central and Northeast Victoria. This year marks 30 years in the health industry for Mitch. As Senior Regional Organiser (in a team of six regional organisers) Mitch’s role is to ensure that regional HWU members receive service and attention of the Union on a regular basis. The HWU will continue to fight for improved health facilities, additional resources (such as Dialysis Machines, Oncology specialists, Drug and Alcohol services, Doctors including specialists such as paediatricians, Mental health clinicians and more) and lobby for better services and infrastructure that most rural communities have been doing without! But we cannot do it alone! Please join the HWU and help us fight for People living in rural and remote regions of Victoria. With you, the people, on our side, we can achieve our desired goals. Living in country or rural Victoria has its benefits, but when it comes to accessing healthcare many people report that it is extremely difficult to find Doctors, in particular specialist Dr’s like paediatricians. And if you’re lucky enough to find one, waiting times to see a specialist can be as long as six months! We have developed a Frequently Asked Questions section to assist people living in rural and regional areas of Victoria to locate required health services. We are also trying to raise awareness about the fact that people living in rural and remote areas of Victoria often need to travel great distances to access health services. The HWU has been lobbying the Victorian and Federal governments to improve rural health services and acknowledge the strain that long distance travel places on patients and their families. In that regard, we are pushing government to increase the availability of accommodation facilities and financial support for patients and their families. We hope that you find the information on this page useful and we welcome your feedback via the HWU Country Health Workers Feedback section that can be found at the bottom of this page. You can complete the feedback form anonymously if you wish. Australians living outside major cities have significantly poorer health and lower life expectancy than their urban counterparts. Recent data from the Department of Health and The Australian Institute of Health and Welfare revealed that people living in Gippsland and the Grampians have worse five-year cancer survival outcomes compared to people living in all other areas. Furthermore, survival from cancer for residents of Metropolitan Melbourne is generally better than that for residents from the rest of Victoria (2040 Discussion paper, Department of Health & Human Services, 2015). Similar figures apply to people suffering from chronic diseases such as diabetes and mental illness. The HWU has been working with both state and federal government to change these figures. We have made submissions to the DOH, senate federal senate, state parliament and the Productivity Commission. We are also active on government taskforces government advisory groups. We will continue the fight to ensure that country Victorian’s get the quality health care that they need! Rural and remote communities are generally more dependent on the roles performed by local General practitioners, who often work with little or no support from specialist practitioners (Department of Health, 2017; Australian Institute of health and Welfare, 2016; Australian Bureau of Statistics, 2016; National Commission of Audit, 2014; National Strategic Framework for Rural and Remote Health, 2012; Health Workforce Australia, 2012). It is important that the rural and remote General practitioner be supported by local, state and federal governments in multiple areas (see below). Allied health services in the following areas- clinical psychology, social work, physiotherapy, occupational therapy, dietetics, speech therapy, podiatry, optometry, orthotics audiology and prosthetics). Health administrators and workers belonging to rural and remote health services recognise the need for flexibility within the workforce (Victorian Department of Health (2014). It is essential for the health workforce to work across multiple disciplines, roles and areas, irrespective of their classification or occupation. Even though multi-skilled health worker roles often lead to longer working days and more complex roles for the average health worker, unfortunately, in many instances, workers have not been compensated for their efforts. We believe that hospital administrators need to recognise, commend and reward their workforce via remuneration and supporting training and career development opportunities. It is important for health administrators to fund more senior positions within various health occupations. Ideally, the senior health workers role would involve the provision of comprehensive supervision to health workers within their classification, facilitating access to further study, including assistance with arranging time off work to attend class/seminars and support with associated course costs. The Health Workers Union believes that it is important for the government to work in consultation with Unions, professional associations and tertiary institutes to overcome the aforementioned disadvantages that patients and health workers are currently enduring in rural and remote areas. In particular, we recommend that the allied health workforce should be strengthened by the use of Allied Health Assistants and that the nursing workforce should be aided by assistant’s in nursing. That is, we can envisage an advanced scope of practise for Patient Services Assistants, Personal Care Workers, Personal Care Assistants and other care workers. The Victorian Government has developed a number of Innovative and important projects that aim to increase and retain health employees working within rural and remote Australia. We believe that the federal and state governments need to ensure additional funding for the projects that they have been conducting in partnership with secondary schools and tertiary institutes (National Strategic Framework for Rural and Remote Health, 2012). It is important to acknowledge that there are some major differences between metropolitan and country hospitals. Rural hospitals are generally smaller (fewer beds and specialist clinicians) and have fewer resources even though they provided services to catchment areas several times the size of their city counterparts. The following list contains the names of all of Victoria’s Public Rural Hospitals and Health Services. Please choose the health service relevant to you and click on the link below- the link will take you to the webpage of the service that you have chosen. The Victorian Council of Social Services (VCOSS) and Department of Health & Human Services (DHHS) are hosting regional consultation events to provide an opportunity for community sector representatives to take part in the CSIP planning process. VCOSS and DHHS are hosting four regional consultation events to provide an opportunity for community sector representatives to take part in the CSIP planning process. Steve Mitchell (Mitch) is our Union’s Senior Regional Organiser. This year marks 30 years in the health industry for Mitch. He started out as a casual relieving orderly in 1985 before working his way through various positions in the industry. He worked as a union organiser in 2000 until 2005 – a position to which he returned in 2013. He’s worked in the health industry as a storeman (advanced), personal care worker, housekeeper, enrolled nurse for 12 years, and trust officer in both the public and private sector (including in acute and aged care roles). With this in mind, Mitch made the decision to join the HEF (Health Employees Federation, as our Union was known then) in 1987. Soon after, he was elected as a shop steward (or Union Delegate). “I’ve seen our Union go through many ups and down in my many years as a member”, says Mitch. “Whether it’s dealing with contracting out of jobs, overworked staff, or having a line manager bully workers, it’s important that our regional members know they will get the support of our Union when they need it. We’re working hard to regain the trust that was lost under the old Union”. “Since late 2012, under the leadership of Diana Asmar, and thanks to a lot of very hard working and dedicated staff, since then our Union has turned the corner and has now regained its credibility - much to the dislike of some managers and business operators who had enjoyed a dysfunctional Union for so long. As Senior Regional Organiser (in a team of five regional organisers) Mitch’s role is to ensure that regional HWU members receive service and attention of the Union on a regular basis. “I am very proud of what the HWU has achieved since 2012 and I have been very lucky to work with team of dedicated and professional regional organisers who are supported by a very hard working Industrial office. One of the big issues we are still facing as a union, related to the poor reputation of our predecessors. That is, they did not spend much time supporting members in country areas. When I became a Union organiser again in 2013, I visited one site and asked a member: “when was the last time you spoke face to face with an Organiser, I was told: “you should know, it was you – over 7 years ago! Since then we have established rotation schedules of visits to sites on a regular basis”. "Unfortunately, it is a fact our organisers, due to distance in the regions and unforseen issues such as attending and supporting members in disciplinary meetings, Commission matters, ARREO inspections etc. can’t be everywhere at once. However, going forward, we are striving and determined to see every HWU regional member getting the support they need”. The Health Workers Union welcomes the passage of the legislation to establish the role of the National Rural Health Commissioner. We commend the government for their foresight by ensuring that the National Rural Health Commissioner will be an independent statutory officer within the Australian Government’s Health portfolio. We understand that the new Commissioner will work with governments, health services and the medical, nursing and allied health professions to address workforce shortages, and develop healthcare delivery solutions, in rural and regional Australia. We also support the important work that the Minister is currently engaged in, in particular, his participation in the recent National Rural Health Conference. We are keen to work with the Minister and others on the seven key priority areas identified for action. Rural and remote Australia’s highly disadvantaged Indigenous population and cultural complexity and dispersed settlement pattern requires a dedicated policy and service delivery response. We believe that the Rural Health Commissioner must champion the development of an equitable funding model to support the complex health issues faced by rural patients. The Health Workers Union has contacted The Hon Dr. David Gillespie, MP Assistant Minister for Health and requested that the HWU have the opportunity to work with the National Rural Health Commissioner and the Minister to get the best healthcare outcomes for Australian’s living in rural and regional areas. In that regard, we have sought to participate in the new Distribution Working Group, as well as the Rural Health Stakeholder Roundtable. We will keep members informed about our progress and new health initiatives aimed at improving rural and regional healthcare outcomes. The Victorian Department of Health has been developing a 20 year State-wide Design, Service and Infrastructure Plan for Victoria's Health System. This state-wide plan will provide an all-encompassing framework for health system design and planning, and will be backed by a group of service stream and locality plans. Victoria’s Rural and Regional Health System Design, Service and Infrastructure Plan will explore rural population and patient health care needs (present and future) and identify the required actions needed to deliver high quality rural and regional health care services. The Victorian Department of Health is seeking feedback from interested individuals about the Rural Plan. They have released a Discussion Paper and a series of consultation forums. The Discussion paper aims to encourage discussion and input from interested parties including the wider community. Specifically, they seek input on key system and service design and planning considerations for rural and regional Victoria. The paper includes an on-line link for feedback and opinion on the current and future issues facing rural and regional Victorian’s. The closing date for feedback regarding the Discussion Paper is September 26 2016.